Looking for private in-home or in-studio Flute lessons? Our Catoosa teachers are ready to get you started. Find your teacher today! The Flute is an Awesome instrument. We can play duets, learn how to beat-box on the flute, or work up a recital piece for you. Anything and everything flute! My doctorate is in music and I have experience teaching music at multiple universities, as a public schools teacher, and as a private instructor. I've played classical and jazz flute in large and small ensembles for 10 years. For beginners, I recommend Essential Elements for Band, Book 1 for Flute. For all, I teach practice techniques for good fundamentals. For booking, please sign up with TakeLessons today, and then we'll arrange a mutually agreeable meeting time. I look forward to hearing from you! Whether you're preparing for All-State, College Auditions, or just want to improve, I can help! 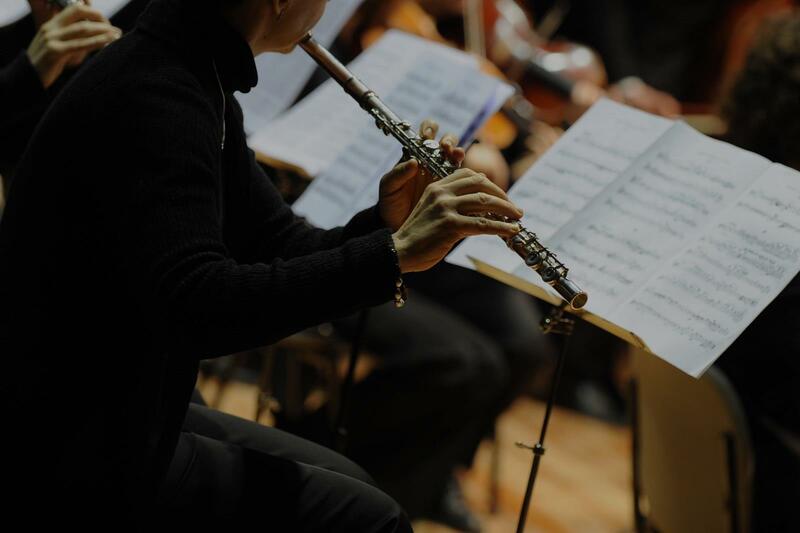 I have over 5 years experience as a private lesson teacher, wonderful training from some of the best flute teachers in the world, and a lot of experience with performing and auditions. You can expect a very kind, but challenging atmosphere. You can expect mock auditions, developing site reading skills, and just becoming the most well-rounded musician you can be! First, I will help you find a great flute if you don't have one yet! Parents, I can help you find local shops with the best options for you to either rent or own a flute, and also recommend repair shops. We will spend a lot of time on just the headjoint, hand position, posture, how to hold the flute and put it together. Hello! My name is Kylee, and I am a professional flutist and teacher in the Austin area. I moved here about six months ago to pursue the wonderful teaching opportunities, and I'm having such a great time! I received my Masters in Flute Performance at Indiana University's Jacobs School of Music, and my Bachelors in Flute Performance from Duquesne University. I am originally from Pittsburgh! I feel so lucky to have such a fulfilling and varied career in music. I grew up with many people telling me how difficult it was to have a career in music, and I'm so glad that I stuck with it! Is is challenging, but with some perseverance and drive, you can create your own career just like I did! s and churches! I'm really living the dream. Throughout my career, I have won numerous competitions including the James Pellerite Orchestral Excerpt Competition, Tuesday Musical Club Scholarship Competition, Women's Advisory Board Scholarship Competition, Duquesne University Wind Concerto Competition, Butler County Symphony's Young Artist Competition, and was a finalist in the United States Army 'Pershing's Own' National Collegiate Solo Competition. I am also one of 3 Finalists for the Mid-South Flute Society Young Artist Competition, and will be competing next month at the University of Memphis. I understand that everyone is at different levels, and my lessons will cater to your level and how serious you are about flute. If you want more intense lessons to prepare you for college auditions or other things, great! In these lessons, we will prepare with site reading, mock auditions, recording, duets, and more. If you just want to learn how to play your favorite songs on flute, great! I've been teaching privately for 5 years, have excellent training from professionals, and years of experience performing and creating a career out of music. Please feel free to reach out to me if you have any questions! I am the conductor of the Bloomington Chamber Singers. Kylee performed with my orchestras for a number of years while she lived in Bloomington and also played a number of times during worship services at the church where I direct the music program. Kylee is first and foremost, a masterful technical musician who understands her instrument deeply, and is keenly aware of style and the challenges of ensemble playing. She also is a warm, creative, and caring individual respected by all around her. I recommend her highly and know that anyone who studies with her will discover new talents within themselves. Kylee has been coming to our adult day program since she first came to Bloomington to attend the Jacobs School of Music. Throughout her graduate work she was a regular visitor to our small program. Not only did she perform beautifully, but she engaged with us....teaching us about flute playing, various aspects of the instruments she plays, background on types of music, and she built relationships with us. We were happy to celebrate with her when she got her new absolutely gorgeous flute! She is warm, has great communication skills, invites questions and learning. She was FAR more than a performer here, she was invested in us and we were happy to adopt her during her time in Bloomington. Kylee's demeanor, musical excellence and personality make her an excellent fit for lessons or events. We HIGHLY recommend working with her! I vary students’ lessons with their interests and find the best teaching methods and practices to fit their needs. Because I believe everyone is different and unique. No one can stop you on learning anything but yourself. Therefore, I want students to focus on every lesson and have to practice outside of class which are required and important. Playing music is fun but learning takes time!! A native of Taiwan, Ann Chen, is a freelance flutist and pianist in Albuquerque. She has her Bachelor degree in Instrumental Music Education with a flute emphasis from the University of Arizona under the tutelage of Brian Luce. In 2016, Ann received a Master of Music degree in Flute and Piano Performance from the University of New Mexico, where she studied with Professors Valerie Potter and Pamela Pyle. Ann is great, I think she deserves 5-stars because she is talented and really wants to help me improve. Within just moments she had recognized some problems with my breathing and posture that are already helping. Jonathan is Artist-in-Residence at American University in Washington, DC and teaches ﬂute at Episcopal High School in Alexandria, VA. He performs with the Kennedy Center Opera House Orchestra and other ensembles in the Washington DC area. Jonathan lives in Arlington with his wife, cellist Amy , and daughter Sarah. He maintains an active teaching studio at his home. He has been principal ﬂutist of the Mexico City Philharmonic, and has made recordings for NPR and the Discovery Channel. An active chamber musician and soloist, he has been featured at the Phillips Collection in Washington, DC; as soloist with the New American Chamber orchestra, and at the Old Isleworth Festival in London, England. He holds a MM from Juilliard where he was a scholarship student of Samuel Baron. He studied with Thomas Nyfenger on a National Endowment for the Arts fellowship, and in Paris with Michel Debost. I have a varied musical life, playing orchestra and chamber music. Recording sessions include soundtracks for the Discovery Channel and NPR. I studied flute in France, and in the US with Thomas Nyfenger and with Samuel Baron at The Juilliard School. My students have ranged in age from 6-70, and include beginners, intermediate and advanced flutists. Please feel free to contact me with questions! Flute is serious fun! I have over 10 years of teaching experience with students of all ages and abilities, and two degrees in music education. Whether you are a 4th grade beginner, working towards college auditions, or dusting off your flute from high school, we have plenty of rewarding work to do. I also have experience with students with special needs, including autism. Let’s get to it! I am a flutist and music educator with over 10 years of experience. My bachelors is in Music Education from Ithaca College, and my masters is also in Music Ecucation from Boston University. Hello potential student! My name is Rebecca and I absolutely love the flute! Why? Well, because it is the only instrument that can be compared to the human singing voice! This makes the flute so special and beautiful to me. The flute and I have been best friends since we began our journey at age 12. From middle school band to graduating from Duke Ellington School of the Arts, to graduating from Full Sail University, the flute and I have become very well acquainted. Taking flute lessons from me will guarantee you get a practical approach to building a solid foundation in playing the flute, music theory, and performance techniques. I have tutored and mentored many flute players of beginner and intermediate levels. I am looking for dedicated students who are excited about learning to play the flute! Feel free to message me if you believe we are a good match! Hello fellow flute enthusiast! My name is Rebecca and I've been playing the flute for over half my life! Music is basically part of my DNA so choosing to teach was an easy decision to make! In addition to the flute, I also sing and play guitar. Outside of music, my interests include photography, acting, and dancing. Even with my wide range of interests, music is the home of my passion! It is my first love and I feel honored to spread my love for music with whomever is interested! lute students and also saxophone and clarinet students that were learning the flute! This was a fun experience for me! After graduating high school, I went on to study the flute at the University of District of Columbia. From there, I transferred to American University and then finally graduated from Full Sail University. Throughout this journey I never stopped teaching, tutoring, and mentoring all ages on flute playing and technique! As a teacher, I believe that every student is an individual. I believe we all have a unique way of learning. It's my mission to teach you in the best way that works for you. In the past, I have dealt with the "one for all" approach to teaching and I can honestly say, this method doesn't always work. For this reason, as a teacher, I promise to work with you to find which way works best for you instead of forcing you to conform to the way I have learned. We will work on building a strong foundation to flute playing, music theory, and music performance. We will work on proper technique to flute playing, flute maintenance, and I will do my best to help you explore all flute related topics you may have interest in. Just like you, I am also a student too! I believe us teachers are always learning and growing. If you would like to go on this learning journey together message me to connect! Through lessons with me students will be able to learn from a young accomplices musician who has performed in both New York and the Sydney Opera House at only 17 yrs. old. Lessons will follow a strict flute pedagogy that will ensure the most out of every lesson. Though structured, an encouraging an fun environment is always key. Hi. Though young, I have taught many students in the past and have performed in both New York, and the Sydney Opera House. I prefer to do lessons online over video, but an also willing to commute. My lessons are alway done in a fun and encouraging format, yet still follow a structured flute pedagogy to ensure the student gets the most out of every lesson. I am also more than willing to teach international students online. Please feel free to contact me with any questions, comments, or concerns. I look forward to working with you!